韓国では、年間所得が変化する毎にスポーツも変化し「勝利至上主義」「金権主義」により青少年が荒れ「暴力化」が進んでいると大韓民国武道学会金正幸会長が発表した。Becoming it goes ahead through the young violence to Korea. The sports are for the principle of victory supremacy and the principle of power of money. 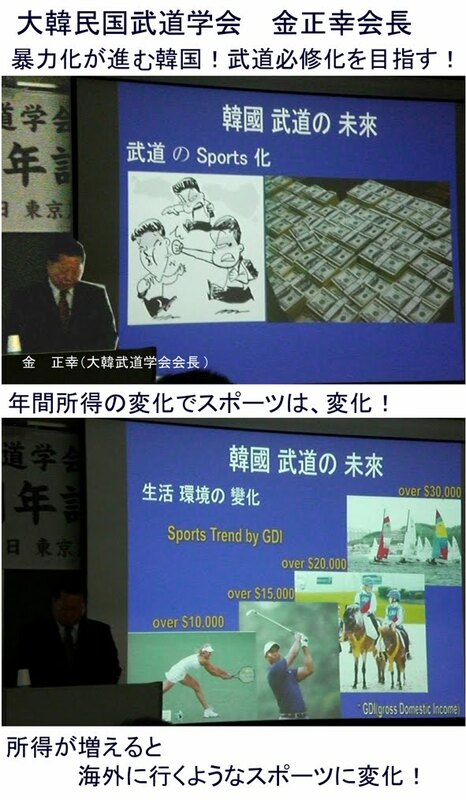 The kind of sports changes by the amount of annual income in Korea.